Lynn Aronberg, the wife of a Florida Democratic state prosecutor says she is getting divorced — in part because she supports President Donald Trump and he doesn't. The wife of a Florida Democratic state prosecutor says she is getting divorced — in part because she supports President Donald Trump and he doesn't. Lynn Aronberg said in a press release Thursday that she is "amicably" divorcing Palm Beach County State Attorney Dave Aronberg. Lynn Aronberg says she is a "staunch Republican and supporter of President Trump," while her husband is not. She says that fact led her to feel "increasingly isolated in the marriage." Dave Aronberg is a former state senator who was elected to his current office in 2012. 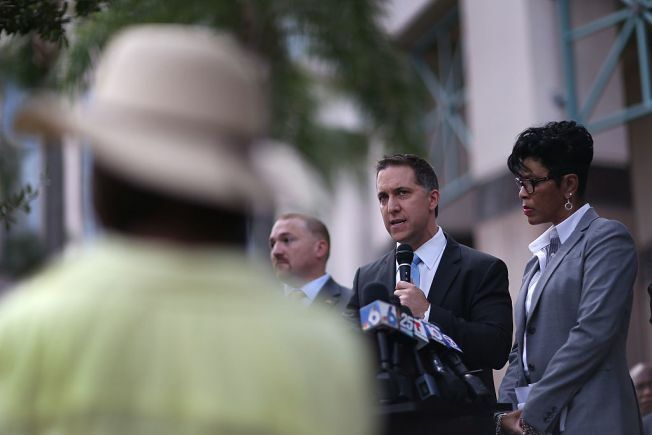 The spokesman for the 46-year-old prosecutor said Aronberg had no comment.